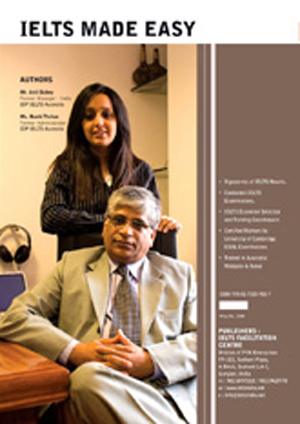 A bilingual book - English to Hindi which runs in a format of Trainer, Candidate and Examiner talking to each other! A Good Band Score is Within Reach! For most going abroad is a long thought out decision. You put in efforts to ensure that your chances are maximized, you meet all kinds of criteria, source together requisite funds. 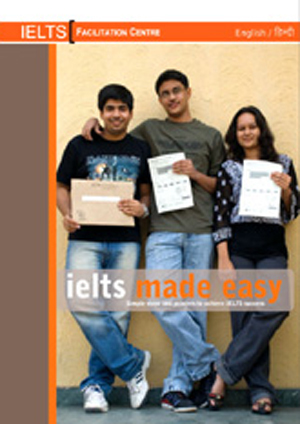 After doing all this would you let IELTS be a stumbling block to your future? The course will equip the candidate with all the technical know how for achieving excellent result and is designed on the basis of the assessment parameters of the REAL IELTS TEST. Most important, it would also let the candidate know about the commonly made mistakes which affects the band scores. The session is from Monday to Friday. (Time flexible) This course is specially designed for candidate/s (max 2) who have time to do their daily home assignments after the training session, the duration of the session would be for approx. 3 hrs. per day. The course will equip the candidate with all the technical know how for achieving excellent result and is designed on the basis of the assessment parameters of the REAL IELTS TEST. This is a course specially designed for candidate/s (max 3) who have limitation of time and is for FIVE sessions. A candidate would opt for any 2 days of the week in immediate succession i.e. Monday / Tuesday, Wednesday / Thursday, or Friday / Saturday, either for the Morning (10:00 hrs) or Evening (18:00 hrs.) session. 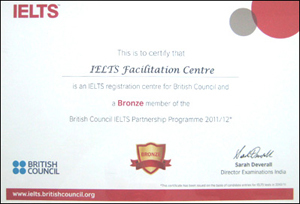 IELTS Facilitation Centre is certified by the BRITISH COUNCIL, as a BRONZE MEMBER, for registration for IELTS by SARAH DEVERALL, Director Examinations India. 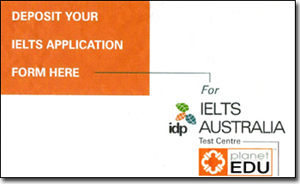 IELTS TEST DATE REGISTRATION: We are the booking centre for both IDP IELTS Australia and British Council for booking of test seats anywhere in India and dispensing of admit tickets.